The Super Bowl 2013 is over and we have published everything there is to know about Super Bowl 2013 Ads on Super Bowl Ads for Geeks and on I4U News. 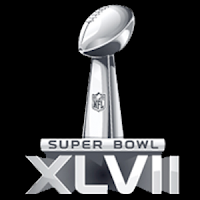 Thank you very much for visiting our Super Bowl Ads coverage and come back next year! Coca-Cola has just released a funny video response to the whole racist controversy we reported about that got a lot of attention last week. An Arab-American group says that depicting an Arab walking through the desert with a camel is racist. Additionally the Arabs are not in the race between the Badlanders, Show Girls and Cowboys. Now Coke put the Arab in the race. His name is Vincent de Fairweather, the 1920s silent film star of "The Kalaharian." It turns out he had a cooler of Coke from craft service all along. Coke even set up a Tumbler page for Vincent de Fairweather. This is a very funny move from Coca-Cola. Watch the Coke Chase - The Last Laugh video below. The voting for the ending of the Coke Chase Super Bowl 2013 Ad is still open. Paramount will run a World War Z Super Bowl 2013 Ad tomorrow during the CBS Super Bowl 2013 broadcast. The World War Z Super Bowl 2013 trailer is already released online and you can watch it below. World War Z with Brad Pitt will be in cinemas in June. Watch the cool World War Z Super Bowl trailer now below.